"The Best-1 feeder is also designed to be 100% bee & wasp proof!" The Best-1 Feeder comes with a 32 oz. glass bottle that screws into a detachable base with 8 feeding stations, each with a built-in perch. 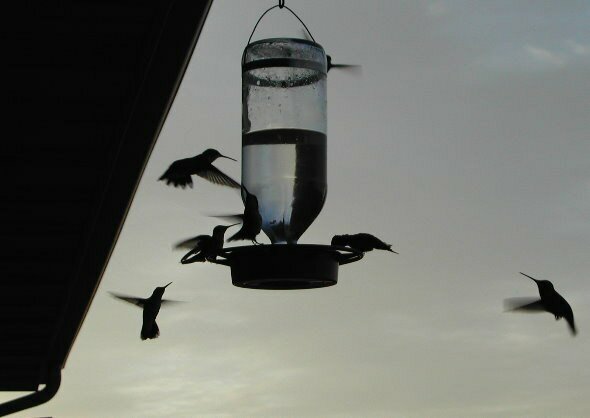 The Hummer Counter will allow you to count the number of birds feeding at your Best-1 feeder. Simply read the level of your feeder two consecutive days and the simple counter will tell you how many birds have been feeding at your "Best-1". The Best-1 feeder is also designed to be 100% bee & wasp proof! It doesn't leak, is easy to fill, easy to clean, holds a good amount of food and is heavy enough not to blow all over when a storm comes in. 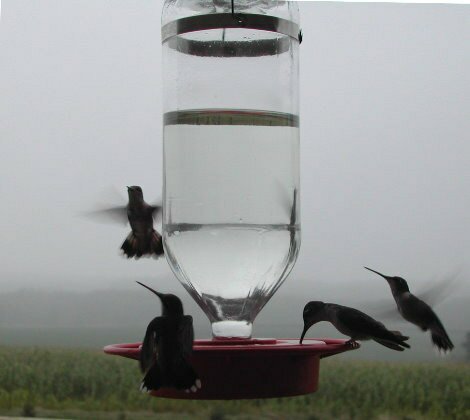 The BEST-1 Hummingbird Feeder is a product of many years of experimenting and field testing to provide the "BEST" humminbird feeder on the market today for the least investment to you. 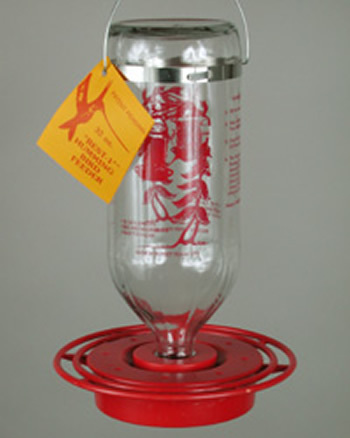 The Best-1 Hummingbird Feeder base is FDA approved for food contact. This simply means that the Best-1 Feeder is the safest, best feeder available for your hummers - other feeders that do not have FDA approved plastics may be harming your little hummers! When your season for hummingbirds is over, clean your Best-1 Feeder thoroughly with your BEST-1 Cleaning Brush and store out of the weather - it will last much longer!